We love us some wine and we love us a slice of Sicily which is why Aperol is the beverage of choice this summer. If you close your eyes and pretend it's sunny for a second, it's almost like you're right there lapping it up in Venice with the Barbieri brothers themselves. Because all the best drinks come served with ice and a slice. It's all about that Instagram presentation right? Gin and Aperol make for good friends. Take this summertime cocktail to irresistible territory by simply swapping the Campari with a combination of one part gin, one part Aperol and one part vermouth. Mouthwatering. This one is pretty self-explanatory. Ditch the soda for Prosecco and life will, as if by magic, get a whole lot rosier. Go ahead and shake up your favourite citrusy cocktails with a splash of Aperol. It's life changing. Whisk yourself up a rhubarb syrup to transform your sour stalk beverage into something a little sweeter. Not a fan of the slow release kick you get from your summer spritz? A little vodka will take your Aperol buzz up a naughty notch. 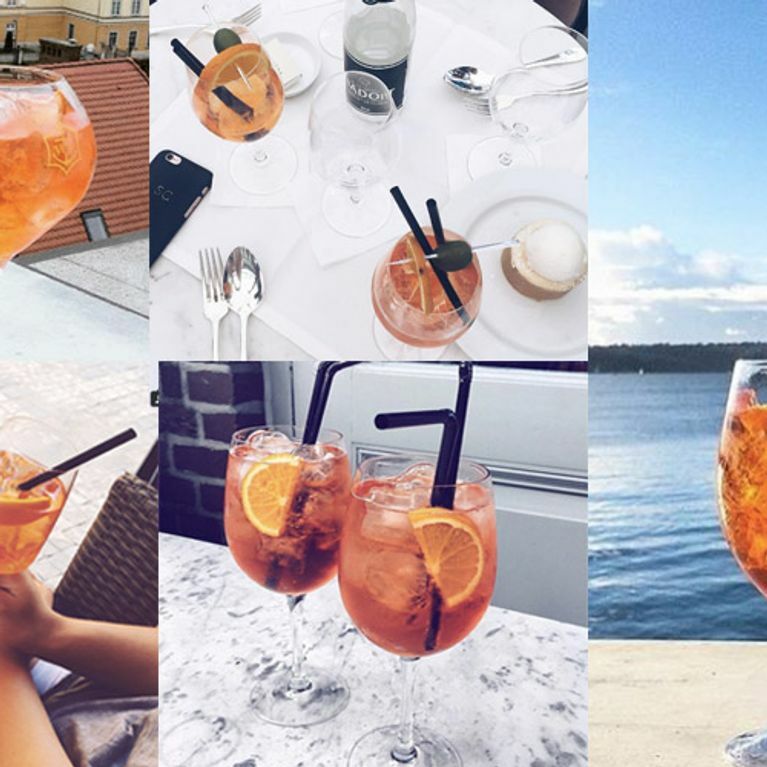 How do you like to slurp on your Aperol? Tweet us @sofeminineUK!